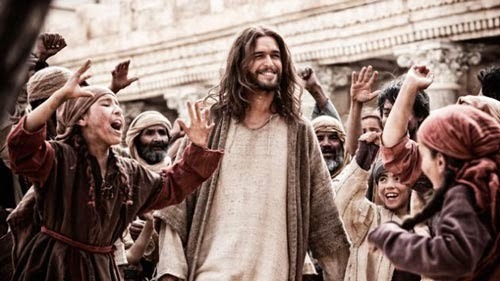 I have to disagree with the mainstream critics here: Son of God is my new favorite film about Christ, and I've seen most of them. I say this not just as a believer, but as a movie critic. It's an imperfect film about the perfect Savior (all films about Him are), but it's sincere and well-crafted. 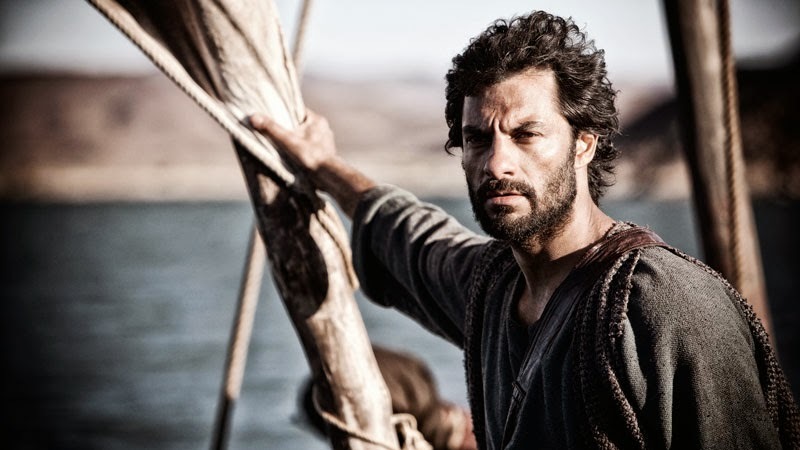 What it does better than any of the others is provide historical and political context, which makes “the greatest story ever told” a thrilling and moving piece of cinema, both for believers and for anyone else who likes compelling storytelling. 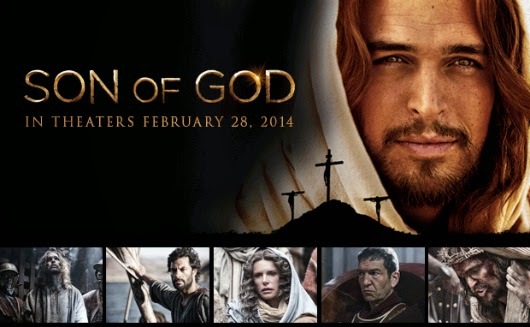 Adapted from The Bible, The History Channel’s hit miniseries from 2013 (buy it here), Son of God stands well on its own as a feature film. Even viewers who saw it on TV will want to catch it on the big screen: this new edit reveals different emphases than the miniseries and is an engrossing theatrical experience. In its brisk two-and-a-half-hour running time, it deftly spins its various story threads and succeeds where others have failed. 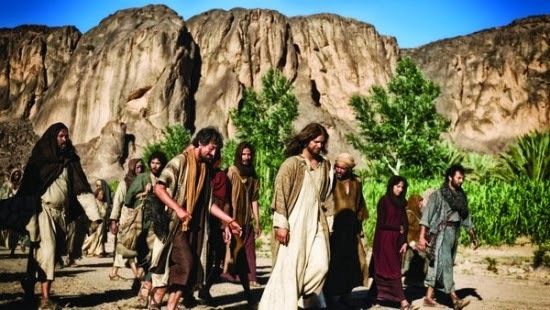 Jesus’ mission is front and center: the film displays the necessary reverence for the biblical account. However, it also takes pains to capture the Roman oppression of the Jews, the people’s hopes for a Messianic deliverer, Pilate’s aggressive desperation to “keep the peace,” and high priest Caiaphas’ fear that a peasant uprising around Jesus could lead to slaughter, as well as restrictions on practicing their religion. The movie is as much a political thriller as it is a spiritual epic, and moments such as Jesus’ inquisition before Pilate are loaded with meaning that other films don’t capture. 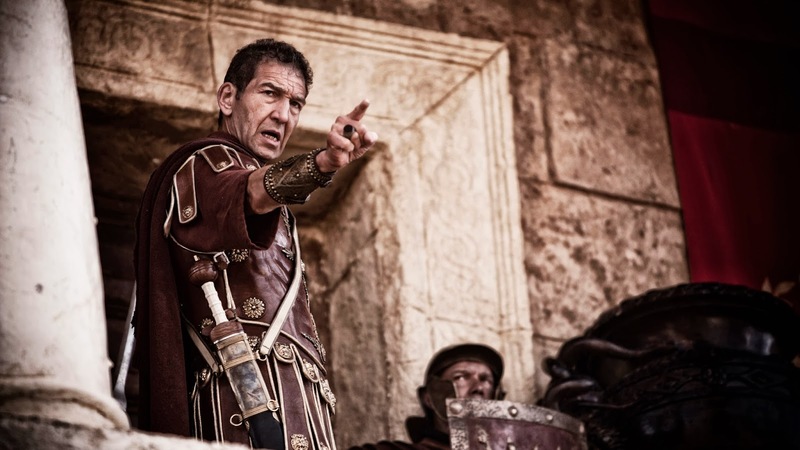 “Are you the king of Jews?” Pilate asks, and to many viewers this question will finally make sense: he’s trying to discern whether this preacher is a threat to Roman rule. “My kingdom is not of this world,” Christ responds. “If it were, my followers would have fought my arrest.” The scene, and many others, crackle with tension, danger, and genuine spiritual insight. 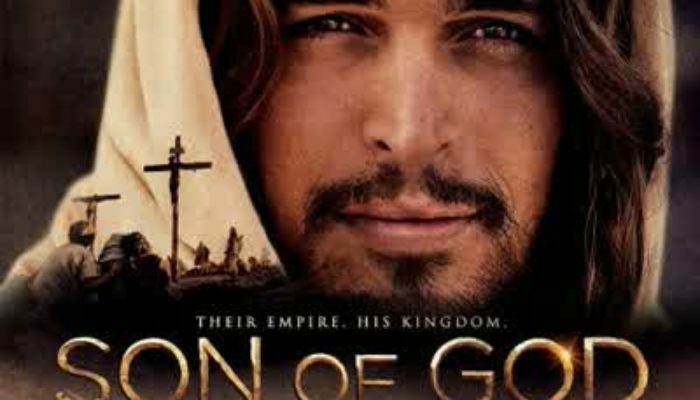 Critics have been too harsh on Portuguese actor Diogo Morgado’s portrayal of Jesus, likening it to, among other things “a strange, smug hippie…posing for his resurrection close-up.” I don’t know what performance they were watching. I found that Morgado captures both the gentle, compassionate Savior and the courageous, bold Christ (although he never fully masks his native accent). Many of the other performances are likewise excellent, especially Darwin Shaw as Peter, Greg Hicks as Pilate, and Adrian Schiller as Caiaphas. Producer Roma Downey (Touched by an Angel) moonlights here as Mother Mary; she does fine work, even if she’s the only actor whose face is always perfectly clean. There are things to nitpick over, to be sure. Anyone who’s passionate about this story will find them in almost any film about the Lord. The screenplay adapts scripture to sound more conversational. Purists may want the word-for-word verses, but the trade-off is that the dialogue feels less rehearsed and more realistic. The chronology of events has been shifted for dramatic effect and/or to help the story move more quickly. Many beloved stories from Christ’s life aren’t included. A few of the actors oversell it, some of the made-for-TV effects don’t hold up as well on the big screen, and there are a few theological errors (though far less than expected). However, Son of God gets far more right than it does wrong. Hans Zimmer’s score is majestic, the cinematography is beautiful to look at, and most importantly, the screenplay, direction, and performances combine for a potent and genuine spiritual experience that invites audiences to know and follow Jesus Christ. It inspires viewers to read the Bible and to be forgiving, righteous, and loving to those around them. 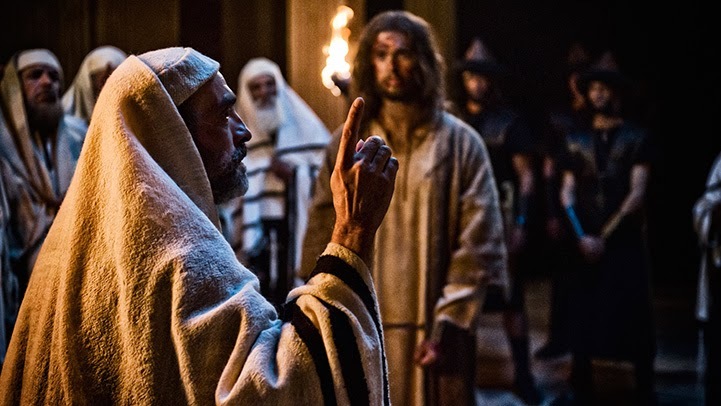 The film bolstered my commitment to follow in the Savior’s footsteps, keeping the commandments while being welcoming and non-judgmental towards others. I look forward to revisiting it soon. 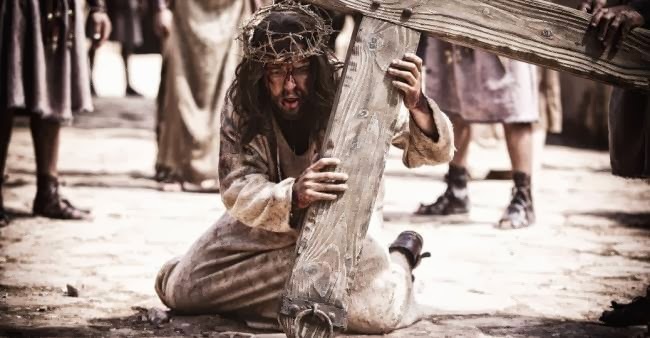 CONTENT OVERVIEW: Son of God is rated PG-13 for violence and blood related to Christ’s scourging and crucifixion, as well as Roman oppression of the Jews (beatings with clubs and stabbings with swords, as well as a disturbing scene in which – minor spoiler – a young boy is crushed by a cart). Jesus appears bruised and bloodied and deep lashes are visible on his body, although the film spends a decent amount of time afterward showing him whole and restored as a resurrected being. I would say it's appropriate for ages 12 and up, and some younger viewers could handle it depending on their maturity level. MESSAGES TO DISCUSS: Jesus Christ is the Son of God, the Creator of the Earth, and the Lord Jehova of the Old Testament. He was born of Mary, received a mortal body, and worked mighty miracles for the sick, poor, and afflicted. He was tempted in all things, bled from every pore for our sins, and was whipped and crucified for our transgressions. 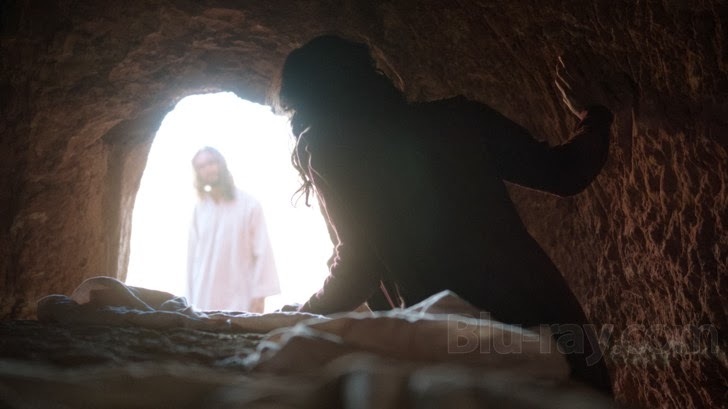 He was resurrected so that we could overcome death. Salvation comes only through repentance and faith in His name (see Mosiah 3:5-12).